Lesson 4: Learn & Do! 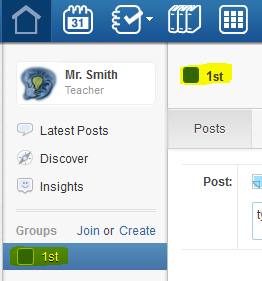 Goal: Post a welcome announcement for each Edmodo class/group. You're almost there! All the hard work is done. 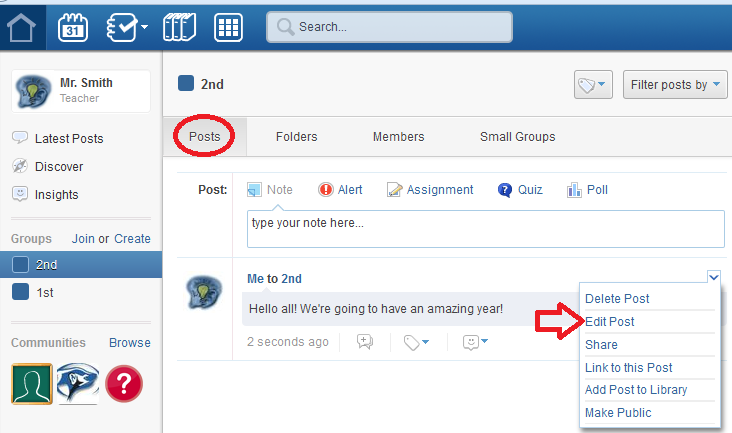 Now it is time to post your first announcement to each of your Edmodo groups/classes. You'll find everything you need below. When you're finished, proceed to the Lesson 4 Wrap Up. STEP 2: Once you're logged in, you'll see all the groups you've created on the left-hand side of your screen. Simply select the first one, and you'll see it is now surrounded in a blue background to indicate it is selected. STEP 3: You are ready to post! 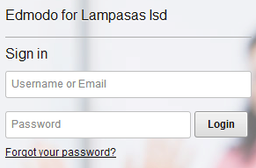 Simply click on the text box where Edmodo has pre-filled "type your note here," and you guessed it, enter your text and click send. It's that easy! 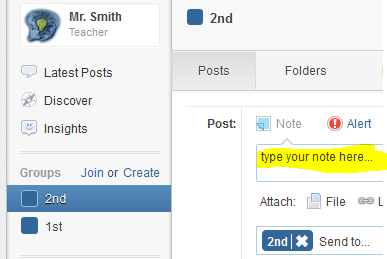 STEP 4: You'll see Edmodo assumes you want to send your note/post to the class you have selected on the left, but this can be changed by simply clicking the "X" next to the class name and typing the name of a different group. 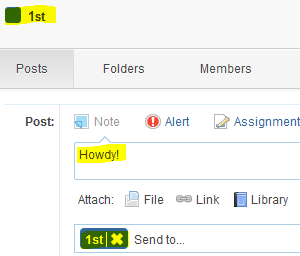 Watch how easy it is to post announcements to your classes in Edmodo! Repeat this process for each group you have. Once you've successfully sent an announcement to each of your Edmodo groups, return here to your Edmodo training and go to Lesson 4 Wrap Up.